Requiring little care, garden horseradish (Armoracia rusticana) gives consumers a fresh-tasting, more peppery condiment than store-bought horseradish. The plants grow 3 to 4 feet tall. Common horseradish produces broad, crinkled leaves and Bohemian varieties feature smoother, narrower leaves. 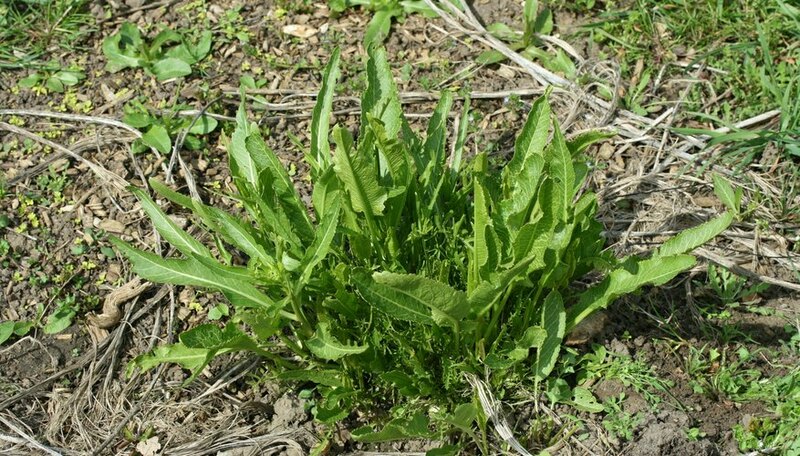 Hardy in U.S. Department of Agriculture plant hardiness zones 4 through 7, horseradish grows during spring and summer, with storage roots developing in early fall. Usually two or three plants provide enough roots for an average family. If you have a newly planted horseradish bed, wait until spring to harvest the roots. If the plants are well-established, you can dig some roots in the fall and winter in areas where the ground doesn't freeze, but the hottest flavor comes in spring-harvested horseradish. For good flavor, extension specialists at Oregon State University recommend waiting to harvest the roots until after they've experienced several frosts. The cold weather promotes the roots to store up starch. Loosen the soil around the plants with a garden fork or spade. Work on both sides of the roots and remove the soil from around the main roots as well as the side roots. Cut off the tops, old leaves and small side roots from the large taproots that you'll be using or storing. Pull up or dig out all the roots, including broken pieces. Even a small piece left behind in the ground will grow into a new plant. Set aside small-sized roots about the diameter of a pencil for replanting or discard them. Don't put them in the compost pile because they will stay alive and grow wherever you spread the compost. They can become invasive. After digging them up, wash the large roots under running water. Place them on paper toweling in a dry, cool place to dry thoroughly. Then put them in perforated plastic bags and store them in the refrigerator. They keep for at least three months. Alternatively, place the roots in moist sand or sawdust and store them in a cool, dry, dark area such as a cellar. Wait to prepare the horseradish roots until just before you want to make them into an edible product. The flavor fades within one to two months after the root has been processed and mixed with other ingredients. Either dig new roots from the horseradish bed as needed or take the roots from storage for a fresh batch of sauce or relish. Consider freezing roots from the hottest-flavored spring harvest, either in chunks or as grated roots, for later use.